With V-Day comes all the hearts on the big screen and relationships surrounding me in every TV show (even Phineas and Ferb). How can I not ponder romantical questions right? So let me start my musings. Firstly, I am 19 and not in any form of a relationship. Is that weird? Am I an abnormal teenager? Considering I have seen SO many people be in relationships since, literally, I hit fourth grade (yeah, I know kids are cray), is it weird that I still am not all that fussed by it? Sure, I am not going to lie to you, I am definitely curious. What would it be like to committed to another person? I mean, in the relationships I see (I mean the actual ones, not the drunken hook ups 😛 ), people have to talk and spend time together everyday. Well, maybe ‘have’ is the wrong word. ‘Want’ is the right word. Have I ever met someone I want to hang with everyday? Well, excluding family obviously, I guess my best friends, but even then sometimes, I just want to shut off my messaging, my texting and just spend the day with me, myself and I. So I guess that answers that question – I certainly don’t think I have ever met a guy I would be willing to chill with everyday. Ugh. Does that make me selfish? Do I subconsciously have guy cootie phobia or something? Wait, can I even use ‘hang with’ when it comes to a boyfriend? Or am I supposed to say ‘be with’ because ‘hang with’ sounds too friend-like? But at the same time, if a grand/tiny romantic gesture ever came my way, I would get super awkward and uncomfortable. I am not a pretty crier readers, truly, I am not. And I have the worst ‘I’m so embarrassed’ smile in the history of forever. Legit 😛 Even if I got flowers, I think my face would swell up like a tomato. I know I sound uber unromantic now, but I’m not, I promise. I’ve watched the Titanic and cried my fair share of tears in literally every single romantic comedy in the world. I listen to Taylor Swift. I have watched the dozens of crazy cool marriage proposals where people flashmob and lip dub and all that. I think the Eiffel Tower is hella romantic, despite its cliche-ness. And yes, I have had a few crushes in my life. Not recently (which is weird, because uni right?) and more crushes on celebrities than on ‘normal’ people to be frank, but yes, I have had all the crazy ‘what if you met…’ discussions with my girls as well. I’m truly not abnormal in that sense. So then is taking an ‘it’ll happen if it happens’ approach too laissez-faire with relationships? Am I meant to give everyone a shot? Am I meant to put more effort in here? I’ve been asked out last year, might be this year, but I didn’t say yes because I didn’t feel anything. At all. Am I being picky? Should I have taken a chance to see what happened? My friends said I should have. But I felt like I couldn’t be bothered. Honestly I swear, all this romance business is just difficult. I guess if it were easy though, then we would all eventually end up meeting our soul mate and having a white picket fence with 2.4 kids right? A tout a l’heure mes amis! 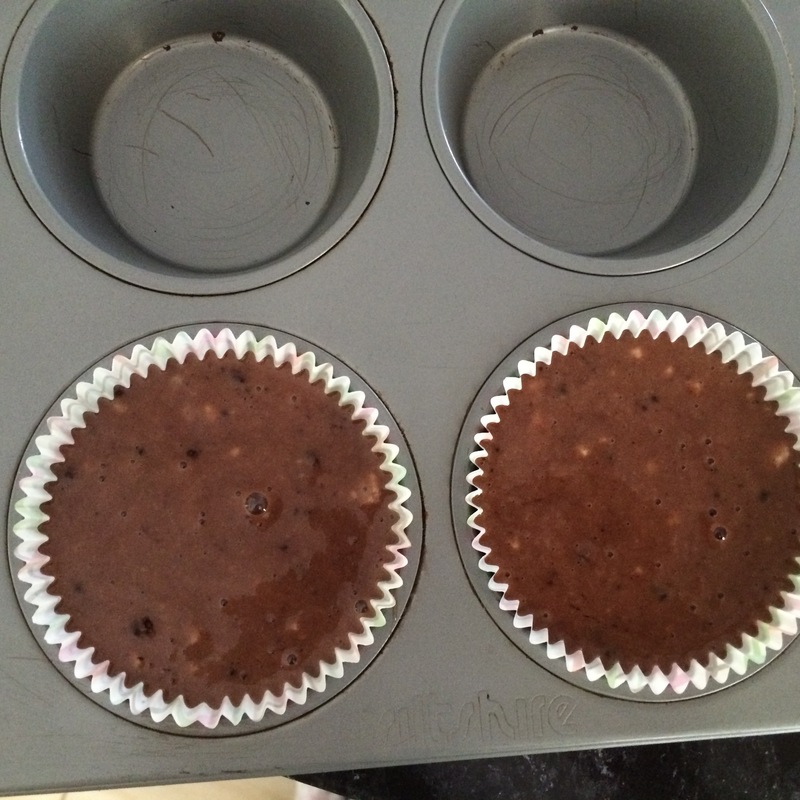 Preheat oven to 180 degrees C and line a cupcake tin with 2 paper liners. 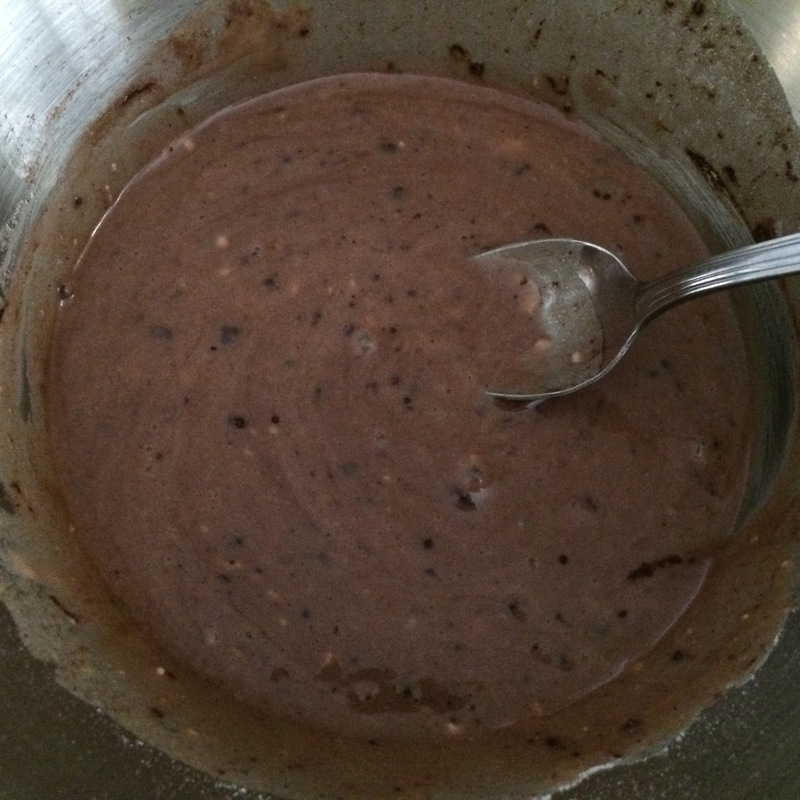 In one medium bowl, mix the butter, nutella, milk and vanilla essence together. In another, whisk the SRF, brown sugar and cocoa powder and baking soda together. 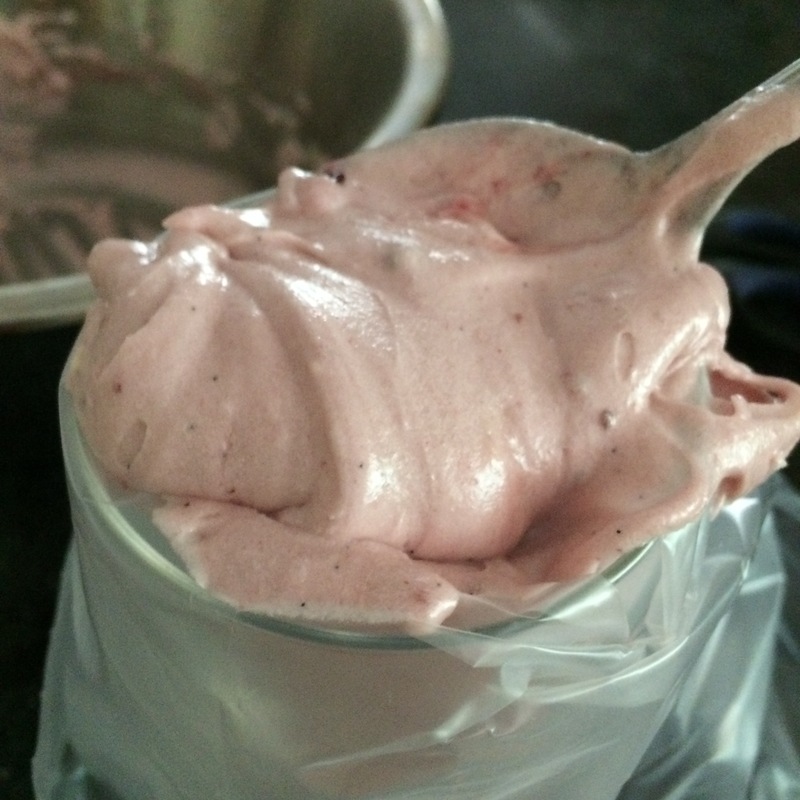 Make a well in the centre of the dry ingredients and pour in the wet ones, stirring till just combined and liquidy. Divide batter evenly between the cups till around a little over 3/4 full. Bake for 20-25 minutes, or till a toothpick inserted comes out clean. Let cool on a wire rack while you make the frosting. 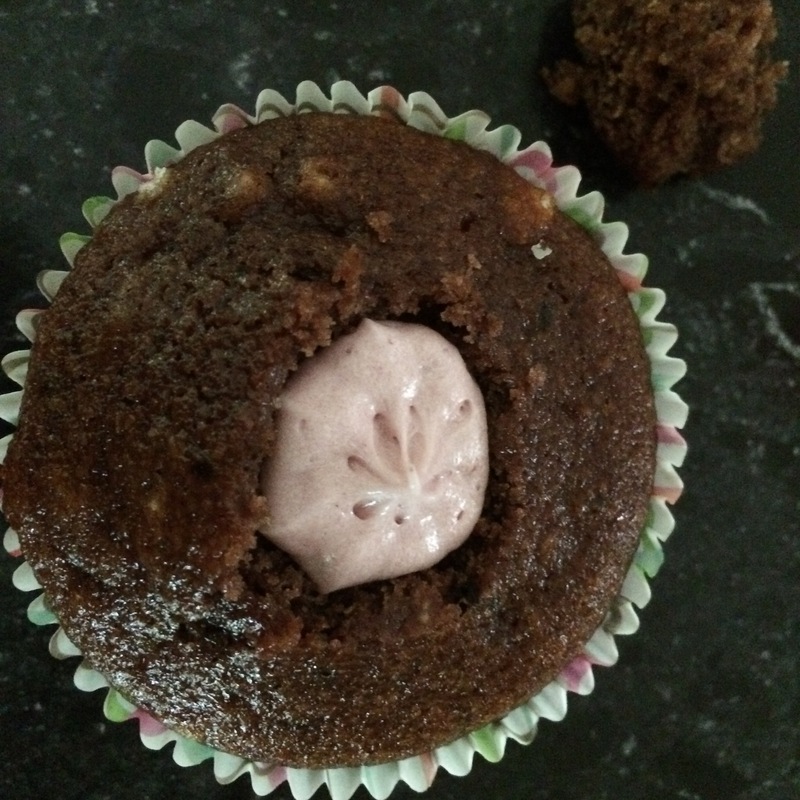 Frosting: In a medium bowl, beat butter and icing sugar till a smooth, creamy mixture forms. Mix in the forest jam, essence and milk and beat till incorporated in. Add in a tsp more icing mixture if the mixture seems too liquidy. 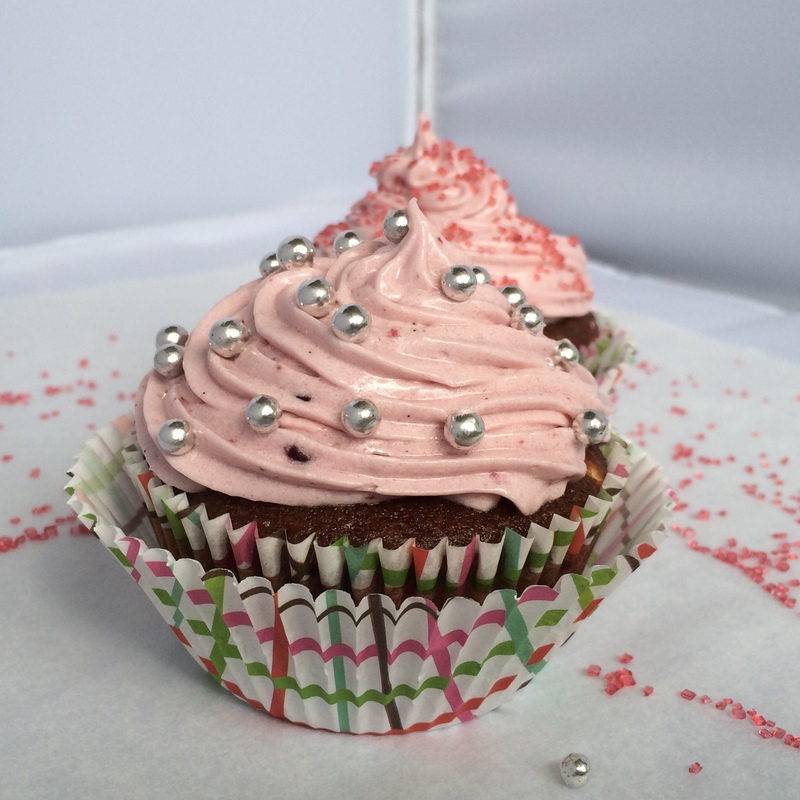 Then pipe the top of the cupcake and decorate as desired! Reblogged this on The Mishaps of brenda joan b. Who needs a significant other when you have baked goods?! This recipe looks delicious. These cupcakes are all us galz need on Valentines Day! I’m sorry to have missed this beautiful recipe, the pink is simply gorgeous. It’s perfectly normal to not want to be involved romantically at your age, you need to find yourself and experience things, no need to get tied down so early. When you find the right one, you’ll feel differently. And then it will hit you. Just like that. Splat. And you won’t even know what hit you. You will sigh. You will croon. You will blush. You will wait for that single look….your way. Green will come only in one color…till then, enjoy while it lasts. And isn’t that one gorgeous cup cake. Love it. 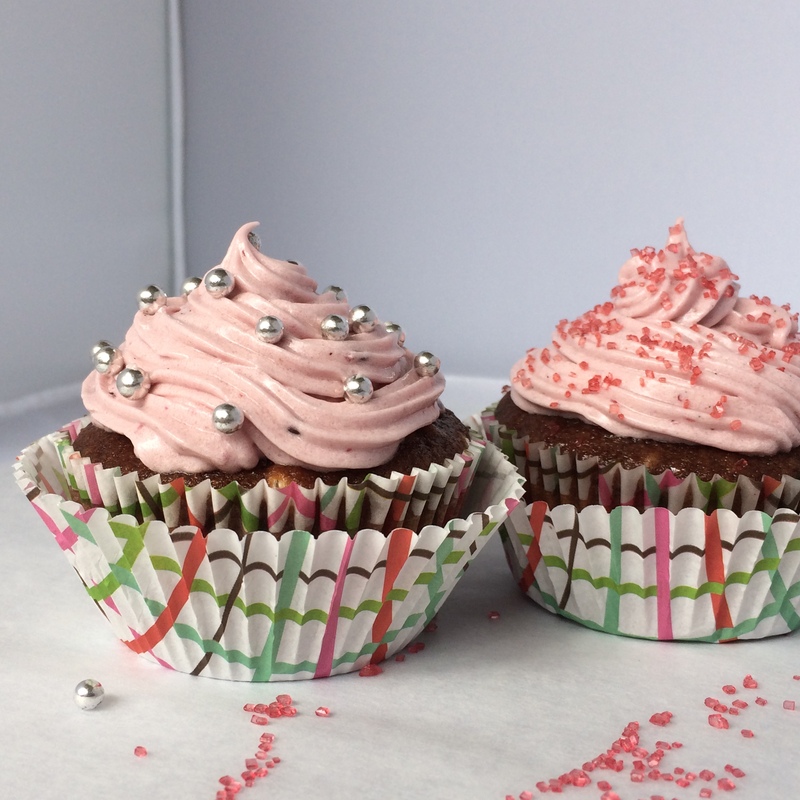 Love your recipe that makes just two delicious cupcakes. I agree with all the others…enjoy every moment of your life doing what makes you happy. You have lots of time ahead for romance in your life. As cliched as it sounds, it’s definitely true that when you meet the right person, you’ll just know! If you haven’t felt anything for anyone so far, don’t feel like you have to say yes just to try dating. Honestly, dating is pretty terrible and stressful! I met my husband through his best friend…who I actually met on RSVP. I didn’t hit it off with his friend, but as soon as I met my husband, I knew we could spend our lives together. I always think that the perfect measure of happiness in marriage is finding someone you can be bored with. Not bored OF, but bored WITH – simply happy to sit around and do nothing with someone! Hope you had a lovely Valentine’s Day – self-indulgent and happy! Simply damn delicious nutella berry cake !!! Your cupcakes looks delicious, nutella is banned in my house due to son’s allergy. Otherwise I will give a try. I think the it’ll happen when it happens is a good approach. And, it will happen when you least expect it! With lovely cupcakes like these, you’re going to make someone very happy one of these days. Berries and nutella! How great. 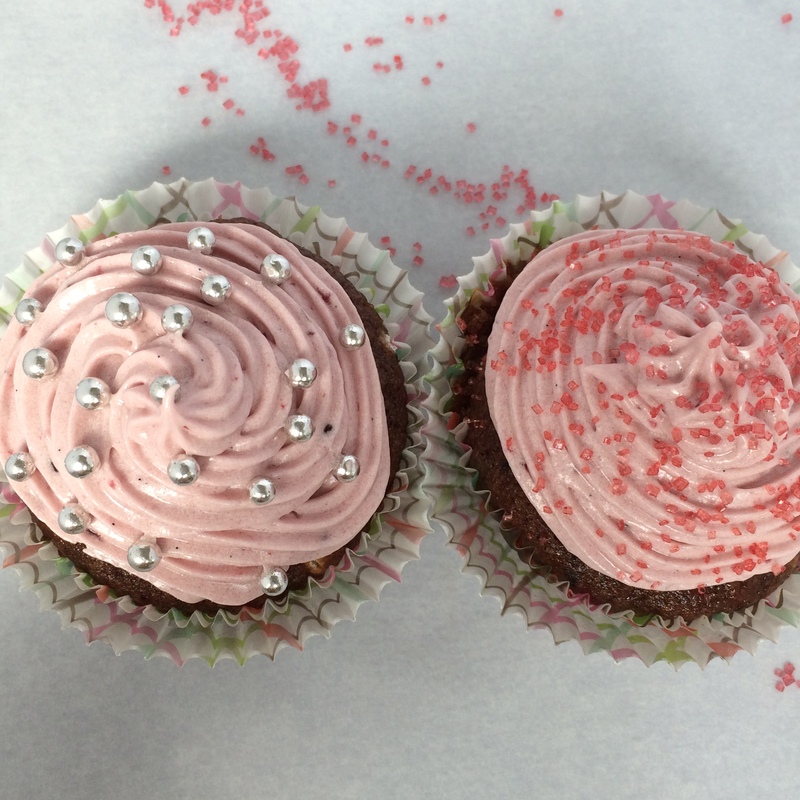 Nice and pretty looking cupcakes you got here, Uru! You’ll be fine and perfectly normal. The right person will come 😉 Have a great weekend! give me a cupcake and id gladly be your valentine! 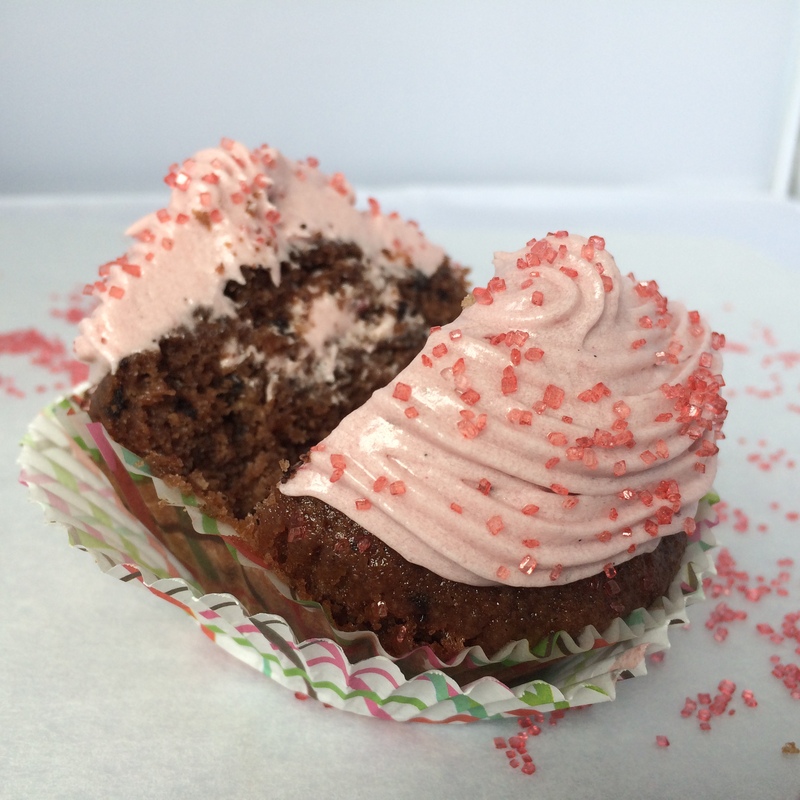 Love your decadent cupcakes they are perfect for any (future) date night! I’m not exactly the ‘romantic’ type myself…and oddly, I’m not even phased by it. I actually do love Valentine’s Day. I like to dress in pink or red to be festive…oh yeah, and indulge in a little bit of chocolate ;D …anyway, I guess because we’re both young and brought up in this actually rather distant, digital age we’re more self-dependent and not as needy. Either way, I hope your Valentine’s Day was a beautiful one. Happy belated Vday, Uru—also, I LOVE Phineas and Ferb! These cupcakes are so cute and perfect for Valentine’s Day or any day for that matter 🙂 Yum, I love them! great post 🙂 And those cupcakes are swoon-worthy. Perfect! Interesting questions you ask. You’re so young–plenty of time to meet whomever it is you want to spend the rest of your life with. But seriously, no hurry. Once it’s done it’s done (or at least it’s supposed to be, lol) and your single days are Over. I married at 23–a guy I met in college.We have two kids now and life has never been so stressful. Hate to paint a non-rosy picture because my husband is a good guy and I absolutely love him, but our Valentine’s Day wasn’t that great. Too much fighting. Hoping for smoother sailing eventually, but the kid part of marriage can really rough things up. Which is why you have to wait for the right person. Not saying there’s only one Right Person, but if you pick a Wrong one, things will be much much harder. My 2 cents. I hope the fighting eases down, I have heard everyone has rough patches now and again. And the bottom line is you love him so I am sure you both will be fine 🙂 Lots of hugs! I’d have to eat these two by myself they look so good! Nutella AND berries? I think you got the best part of Valentine’s Day! I’m repressing how long we’ve been together–makes me feel too old. Your cupcakes almost too cute to eat! Love the way you decorated them. I love cupcakes with a filling inside! Yum! They are totally irresistible Uru, not only for V day but for every day! man, such an awesome piping job you did there!!! So pretty! Oh my, but I do want one of your cupcakes! They look sooo good! I am not one to ever give relationship advice, but what I will say is that you will know when the time is right. When the right person asks to spend time with you, if it’s right, you will know that you want to spend time with them 🙂 So, until then… Have fun and enjoy your time!! You’re totally normal Uru! You’re young! I’m sure that eventually someone will come along and pique your interest. Anyway, love these cupcakes for two! How cute and delicious! Don’t worry about relationships, have fun and you’ll know when the right one comes along. These cupcakes look amazing! No need to “worry” about not being in a relationship, CCU! You’ve got so much going on, have such a wonderful family and group of friends – and you should just ENJOY the present and let the future happen :-). 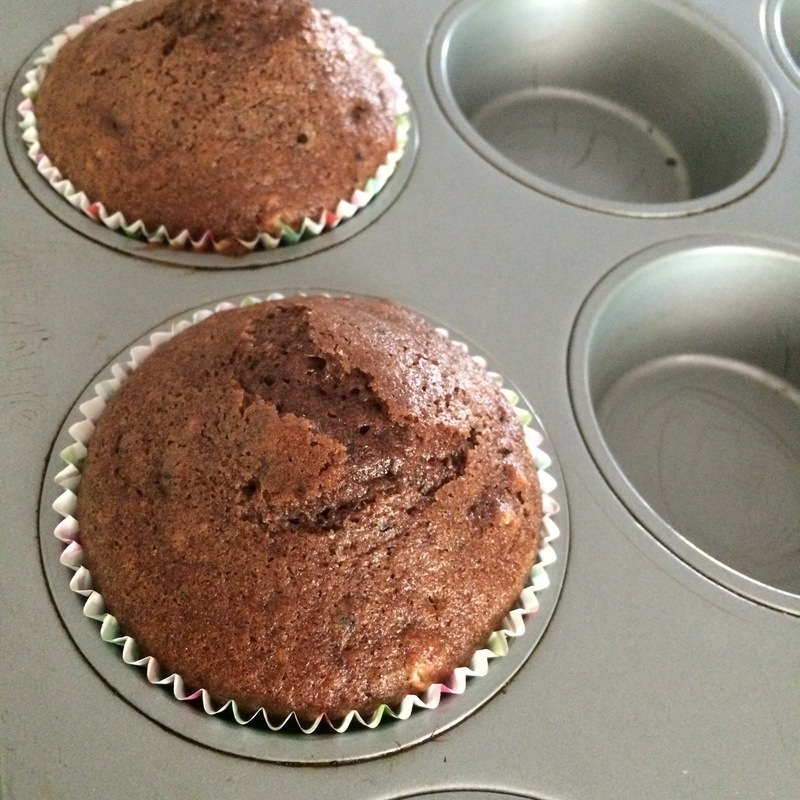 These look so yummy, especially with the Nutella in the batter. You are still so young and there’s no rush to be in a serious relationship! Just enjoy yourself (and these tasty cupcakes)! Those cupcakes would have made my husband very happy on Valentines day. Oh well.. he had to make his own pancakes. These cupcakes look insanely good. It’s not weird to be 19 and never have been in a romantic relationship. There’s plenty of time for that stuff. Go out, enjoy life, and the rest will follow. PS: I LOVE that Maureen asked John to marry her at the top of the Eiffel tower. That is beautiful, tearing up over here. Haha the best reason yet for me not being weird 😛 thanks girl! I think you’re on the right track with what you want out of life right now – you’ve got university taking up a lot of time & having fun with friends. If you tie yourself down too early, you’ll always feel that you’ve missed out on something. p.s. those cupcakes are sweet as you! Don’t worry about all that for now, many more years for that! These cakes look so good, love the filling inside. Your post is so sweet (literally and figuratively!). I didn’t meet my husband until I was 25, and we didn’t start dating until a year later. I was married when I was 28. And I have lots of friends who met and married the man they love when they were older. So you’ve got lots of time – don’t rush it! It’s always best to enjoy where you are, and start dating when you meet someone you connect with. Nothing wrong with your attitude! 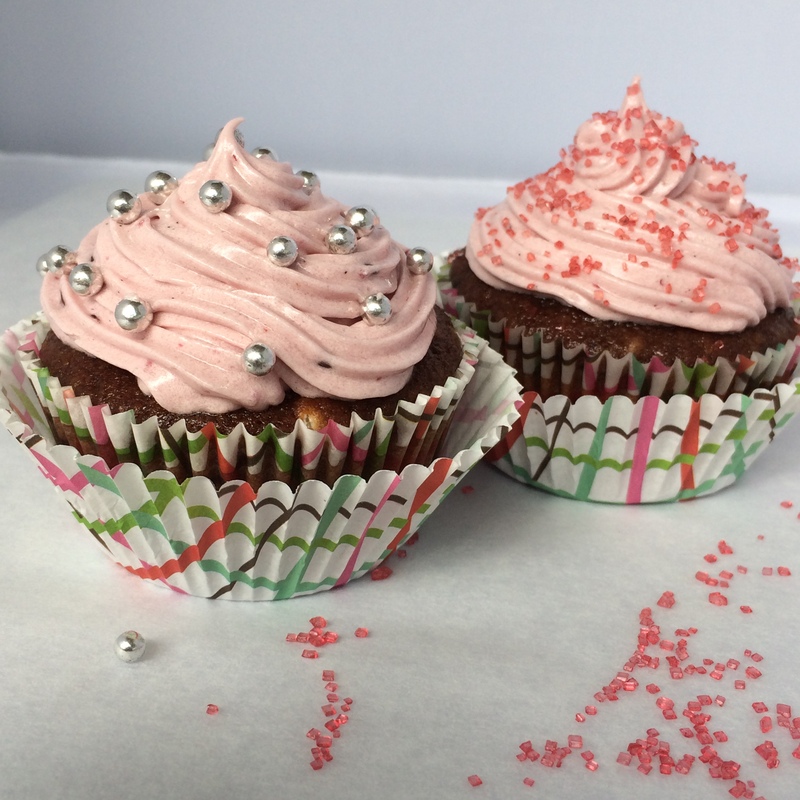 Your cupcakes are divine and I love all that frosting on top! Delicious and they look super cute too! Hi CCU! I had to stop by just to see what treat you cooked up for Valentine’s Day, and these met every expectation! They’re just gorgeous, and the photos! Like a magazine. I do have to take exception to using not one, but TWO wrappers! LOL! Take care! Oh, and I forgot to say, I vote for the Dog! 🙂 So does Gibson…. Enjoy life while you can. There is no rush, love will find you. Cook Uru everyone loves that. I love these cupcakes, especially since there are only two of them! 🙂 You are still young- don’t rush into a relationship you’re not ready for. You have PLENTY of time! Lovely post Uru…and really I don’t think you need to rush. Enjoy your youth having fun. Seriously! You have the rest of your life to get involved in a committed mature relationship that comes with all of the responsibilities of adulthood. When I was a bit younger I had my share of crushes as well. Then after one, I decided that no more. I would not look at boys anymore for a while…Just take a break and have fun with my friends. Then I happened to meet my future husband. Our relationship was a long distance one and we only saw each other at first once a month and later only a couple times a year. But you know what: that was perfectly fine with me. I was more than happy studying hard at the university and just living the life of a young person. Now I am happily married with six kids and I wouldn’t change anything in the world, especially the fact that we took it easy in the beginning. And you what else, my husband is also my BFF. And we give plenty of space to each other to do things by ourselves…as I don’t need someone holding my hand at all times and neither does he 😉 Happy Valentine’s Day to you Uru! 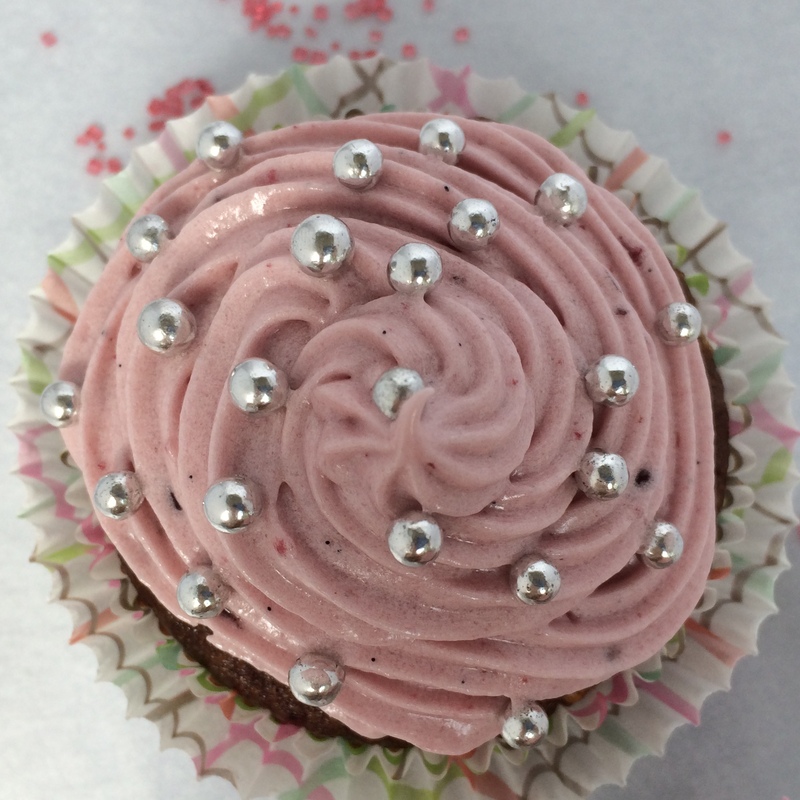 Forget the flowers, forget the chocs, I’d be delighted with these berry berry delicious cupcakes. From all your posts, sounds like you are having the time of your life! Why spoil it with baggage! Relationships are baggage and they’re hard and take up time, and you don’t need all that right now. If you are happy, then do what you’re doing and when the time is right, you’ll know. I was very much like you, so busy with school and friends, and enjoying it! I’ve been married for 18 years, it’s no easy! Enjoy your freedom my dear! 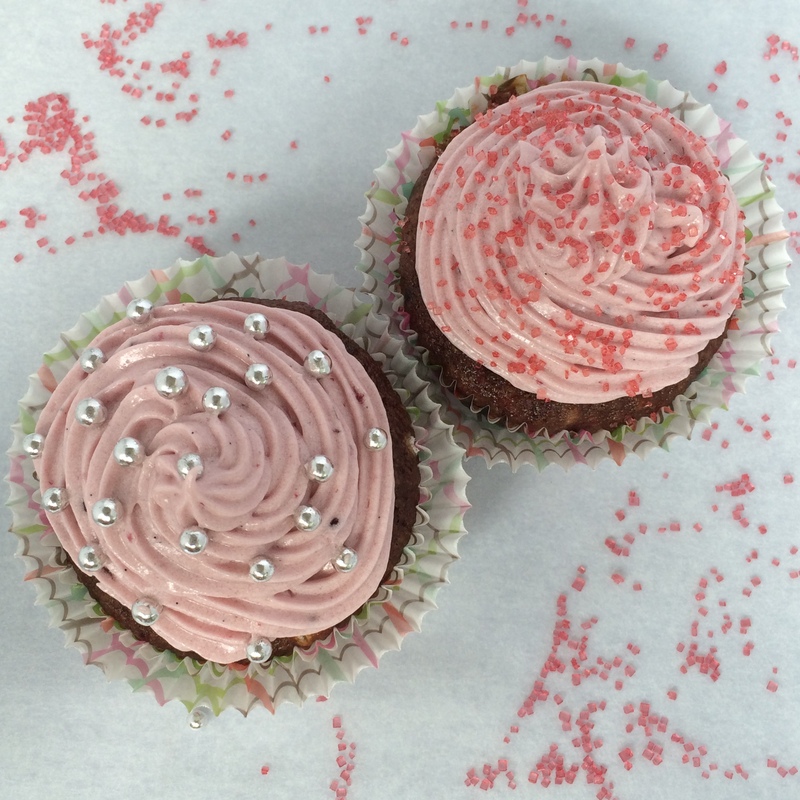 Besides, if you had someone, they might make you share these cupcakes. I don’t like sharing and my hubby has a huge sweet tooth. No need to worry, you have plenty of time 🙂 You just haven’t met the right person yet. Gorgeous cupcakes and I love the swirly frosting! There’s no hurry in finding that perfect someone – it will happen when the time is right. 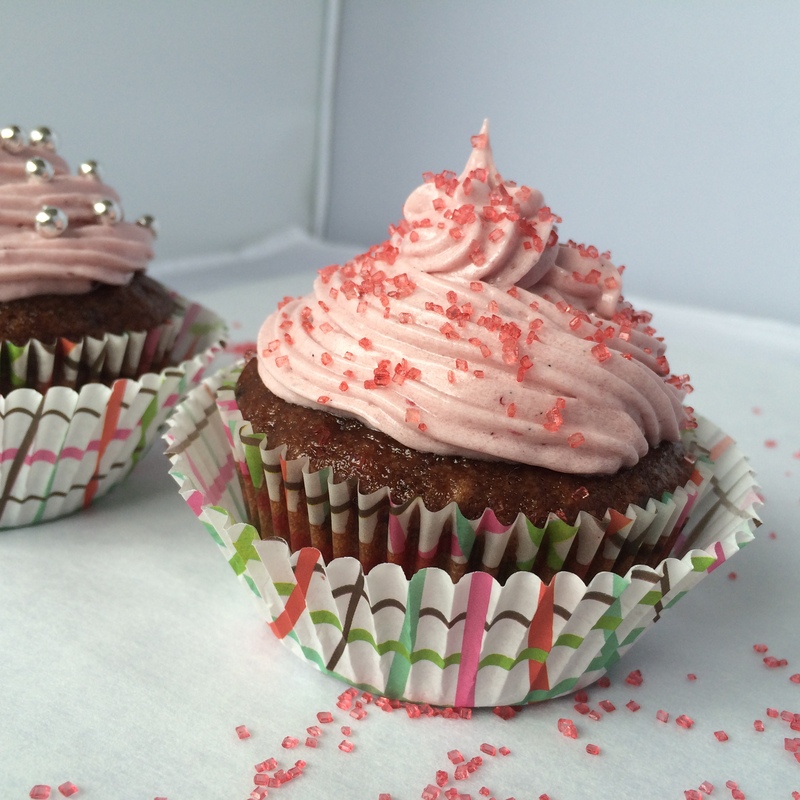 =) In the meantime, these cupcakes look like a PERFECT way to spend a few minutes savoring. Delicious + beautiful! Uru – I love your writing! But, I think you might be being a tad too harsh in thinking you are immature – on the contrary, I think you are mature to know what you want – being picky is never, ever a bad thing. I mean -if you didn’t feel anything and you forced yourself to go out with these peeps – then you’d be leading them on – because they would start crushing on ya pronto and that wouldn’t be “hella romantic”!!! 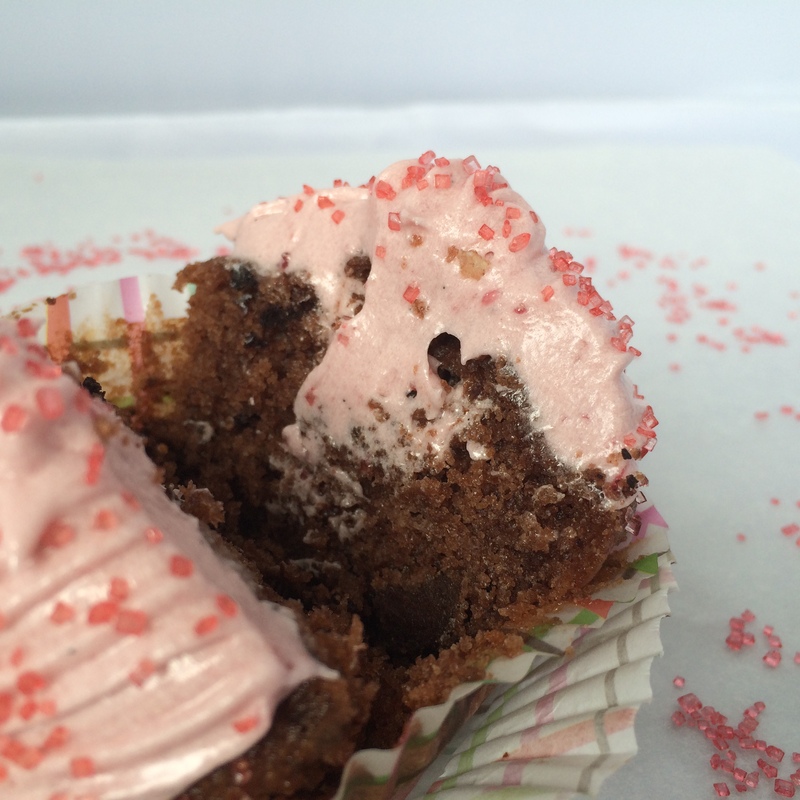 By the way – these cupcakes are insanly hella mouthwatering! I’m all about smaller serving recipes. I’m solo, so can I eat both? Haha sounds like a plan to me 😛 Solo is a good thing here cos one cupcake ain’t enough! I think when the right person comes along you’ll definitely know it. It’s best not to try seeking someone out because it only sets one up for disappointment in my opinion.You’re still young, you’ve got a lifetime ahead of you. All I can say is it will be one lucky guy because you’re smart, pretty, and a great cook! Your cupcakes look so tempting!! Sweets for the sweet! I think you are handling the whole thing well–dating for the sake of dating is agony–when I was young sometimes I would date just to shut people up–but like you I was picky and wished I had not gone out on those dates. I met my husband kind of when I was not looking–though I admit to having a crush on him in high school–it was not until I finished university and moved home (jobless) that I met him again and we started dating–I was 27 years old and did not marry until I was 29 and I now have the requisite 2 kids and a cat (that is my .4). I am glad that you feel complete in yourself–that guarantees you a life well-lived–and going to uni is meant for fun (as well as studies). Enjoy yourself–and listen to your gut–it will tell you when and if to date………..
There’s no right and wrong in love. All depends. For the time being have another of this gorgeous cupcake and be happy. Girl, you are not weird for not being in a relationship at 19. I have some friends of the kind that absolutely have to be in a relationship at all times, and that’s lead to some truly toxic relationships, so it’s totally okay that you don’t feel the need to be in a relationship. I’ve always thought having a date on Valentine’s Day for the sole purpose of having a date on Valentine’s Day always kind of defeated the purpose anyway. 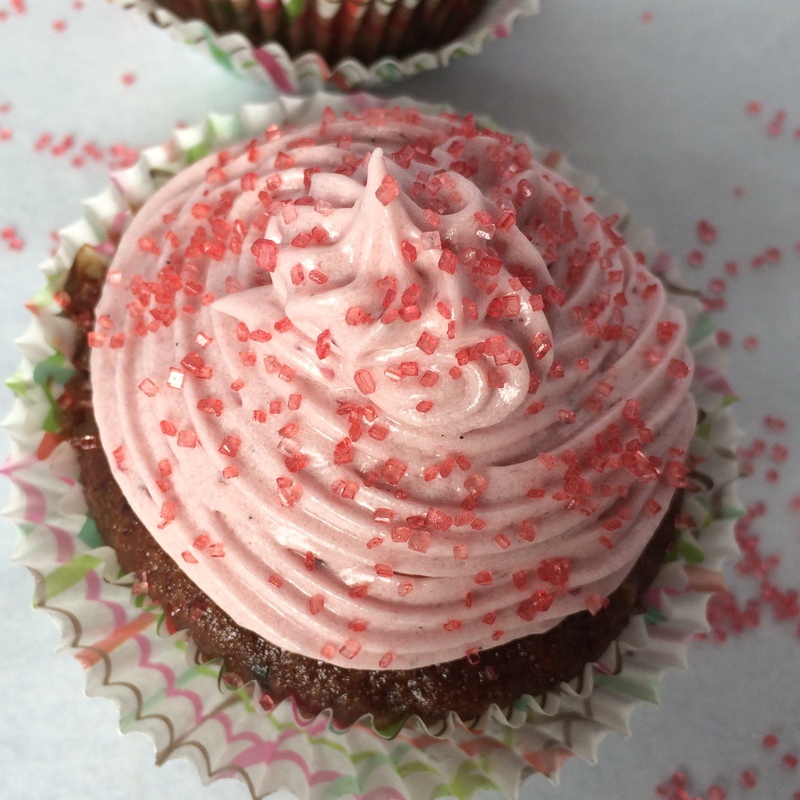 If you just handed me over the frosting bag, I would love to do shots of that frosting…straight from the piping bag. The cupcakes are just a vehicle to get the frosting into my mouth but I am sure together just blissful. Shots of frosting? WHY did we not go to university together!?? That frosting looks so purty and delish!! I think it is so true that it is hard to find someone you want to spend everyday with! If crazy, romantic feelings happen, they happen. There’s nothing wrong with just having fun for now. This cupcake sounds really delicious. love nutella and berries! Best when enjoyed with friends. Don’t worry about being unromantic or disinterested in guys now. You don’t have to feel pressurised just because it seems like the norm. Hon, you are still young, no need to worry about being in a serious relationship and the cupcakes are perfect for just one. I wouldn’t worry at all, I actually like your attitude a lot. Being boy crazy can get a girl in a lot of trouble. Being able to take it slow and focus on other things will more likely put you on the track to finding your real true love. And it will happen when it’s meant to happen. You don’t have to worry. One day, he will just be there and you’ll just know. I think it’s a huge advantage in life to be using these years to explore all the things that interest you. You have shared so many times how much you enjoy your friends as well as university and baking AND…you have a lot of interests. You’ll find that somewhere in the future while you’re living life and and enjoying your independence you’ll meet someone and and it will all look different to you. I’m glad you aren’t putting your life “on hold” feeling pressured to have a relationship. All in time! 🙂 I’ve been married a long, long time and I was married at 19. Times were very different back then and I didn’t even really consider options. I work in a university with students just your age, and every day I admire them for all they are accomplishing and all they will do in the future. I didn’t even see those options when I was that age. So I encourage you to keep doing what you’re doing. From all that I can tell, you are just terrific, Uru. Gosh, I always thought you were in a serious relationship with chocolate! 🙂 Seriously, don’t worry about it. You’re focused on uni and busy with other things. No need to rush things (unless, of course, you find that person that you like even better than chocolate!). Hahaha you are right, my one and only is chocolate 😛 A person better than chocolate? Yep, not gonna happen! 19 and not in a r\ship? Sounds perfectly normal – and quite frankly, perfect, to me! Enjoy these days. These little cakes are just splendid. May your V Day be just another day, or even better, a day with lovely cake. I love these beautiful cuties…that frosting is totally irresistible. I think it’s just fine not to be romantic at your age. If you get to be my age and you still say the same thing, then it might be slightly weird. I love your little cupcakes and I love Le Tour Eiffel too. I asked John to marry me late one night at the very top. Instead of being romantic he laughed and said, “seriously? ?” I kept him anyway.